Will the city pay for a bigger new Bassick? 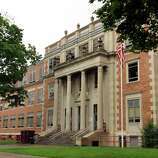 BRIDGEPORT — City officials are poised to try to bump up the size of another high school on the premise that if they build it, students will come. 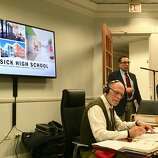 The School Building Committee voted Thursday to ask the City Council to increase the size of the new Bassick High School to accommodate 1,000 students — rather than the 911 students an enrollment study estimated the school would have at its maximum in 10 years. The supersizing could increase the cost of the project by $8.4 million, a jump the city alone would have to pay unless the state can be convinced the additional space is warranted. “I personally feel it is not unreasonable to consider that,” City Finance Director Ken Flatto said of the larger sized enrollment. Flatto made the remarks after talking with Schools Superintendent Aresta Johnson. Johnson is pushing for the larger size, theorizing that a new school with an advanced manufacturing focus would likely draw back neighborhood students who now attend the city’s Fairchild Wheeler campus as well as Bullard-Havens Technical High School, local charter schools and private schools. The new Harding High School was held out as an example. Originally designed for 850 students, Harding plans were redrawn to accommodate 1,150 at the urging of the school board. In the 2017-18 school year, enrollment at Harding stood at 967. The building committee was told on Thursday that Harding is now filled to capacity. Bassick’s enrollment has dropped slowly over the last five years, but last year stood at 970 students. The state is on track to pay up to 70 percent of the new school’s $115 million construction cost, but will only contribute to the 911 students reflected in the independent enrollment study it required last fall. “My concern is that while the (independent) study shows 911, there could be more students in the pipeline over the next 10 to 20 years,” Flatto said. The City Council has already committed to bonding $28 million toward the project. Adding 89 students would potentially increase that commitment to more than $36 million. “I don’t want to bond extra money unless we have to,” City Council President Aidee Nieves said. 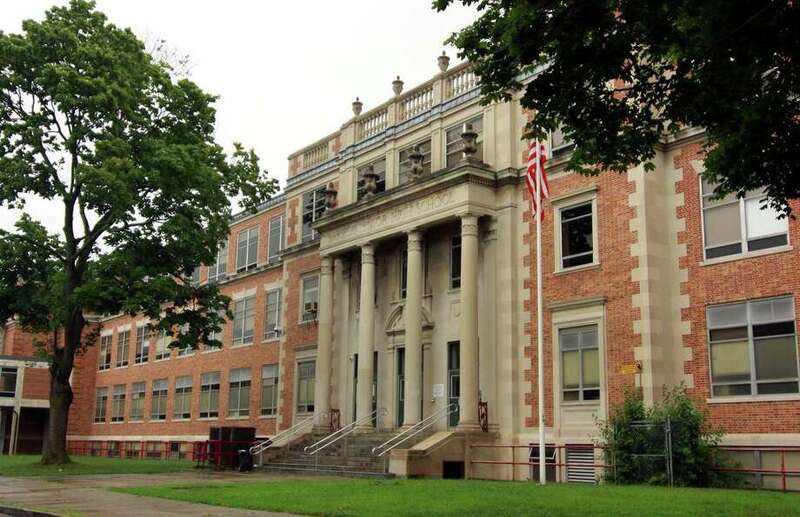 She and other members of the City School Building Committee also don’t want to lose their place on the state’s capital project priority list. “If we make changes now, we risk losing our position,” said John Ricci, the city’s public facilities chief. City Council member Christina Smith, a chairwoman of the School Building Committee, said she has no problem asking for more, as long as the reasoning is solid. The committee agreed to ask the project architect to start drawing schematics based on a 1,000-student enrollment, contingent on City Council approval for the extra funding. If the council rejects the increase, the architects would be asked to scale back the drawings. In the meantime, city officials plan to ask the enrollment consultant to double check projections. If the consultant agrees that the school should be larger, city officials say they would ask the state to revise its grant to cover the additional students — but only after it clears the legislative process. The difference could shift $6 million of the additional cost to the state, the committee was told.